Offset Printing - Flottman Company. Our advanced technology makes us innovative, our people make us exceptional. The Flottman Company is a full-service commercial printer specializing in the printing of sheet‐fed custom projects including publications, marketing collateral, direct mail and more. 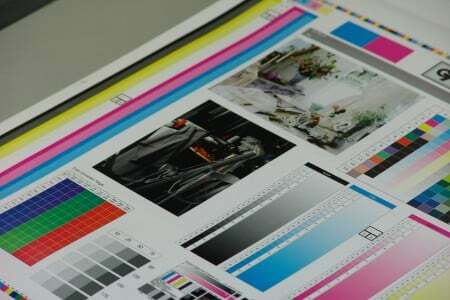 Our offset printing capabilities allow us to offer large format 1 & 2 color printing and 6+ color with aqueous coating. Our presses are the perfect means to craft your commercial folded printing or pharmaceutical miniature folding. The speed, consistency and precision of our presses combined with our press operators assure quality. Our Heidelberg presses will print your job like it was our own. From our talented design and pre‐press teams to our skilled print‐craftsmen your commercial print job will be of the highest quality. Flottman Company’s award-winning press operators are highly experienced in miniature printing for the pharmaceutical industry. Our printing expertise enables us to print on papers as light and thin as 26#. Unlike many pressmen, our team is skilled at operating with FDA-compliant materials, from the use of vegetable grade ink in compliance with our pharmaceutical guidelines to extremely lightweight papers manufactured at Food and Drug Administration (FDA) regulatory specifications. Flottman Company pharmaceutical and commercial folded printing jobs can now include our ultraviolet visible inks. Our SecuRxperts printing components add layers of security or novelty to your project. Contact us to learn more. Our presses are the perfect means to craft your commercial folded printing or pharmaceutical miniature folding.